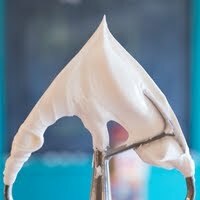 The tips here are not a guarantee against bleeding icing colors, but hopefully they will help. Use a high quality gel paste food coloring (I like AmeriColor ). I LOVE their Super Red and Super Black food colorings. Use as little food coloring as possible to achieve the right color. Remember that colors, dark colors especially, will deepen over time and as they dry. Over-saturated colors tend to bleed more than others. Work several cookies at a time, filling in the base color, then going back to the first cookie filled and applying the second color. This will allow the base coat a few minutes to set before applying the second color. 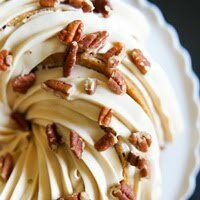 Thin the icing colors out to as close to the same consistency as possible. 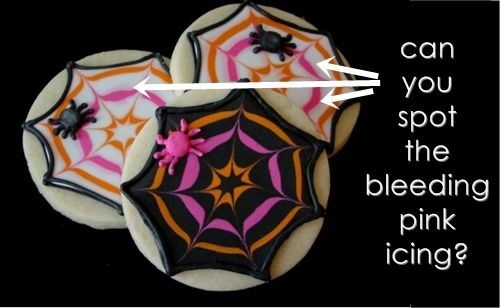 If filling a cookie that has a dark outline, give the outline a little extra time to dry. For a black outline, I let the outline dry 30-60 minutes before filling with a lighter color. 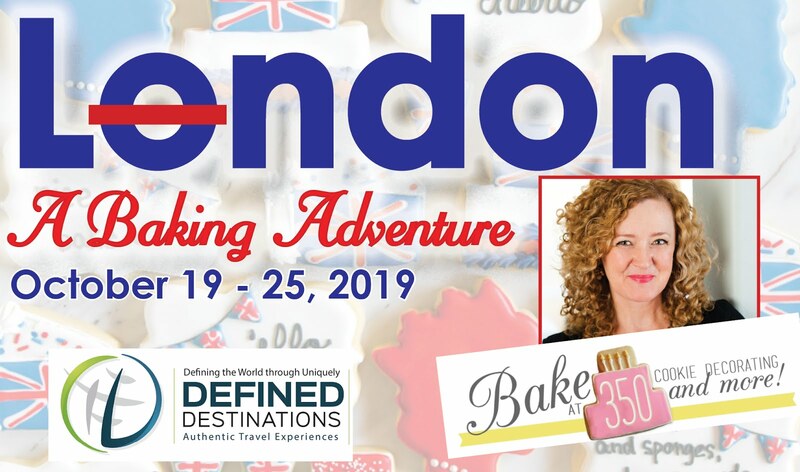 Another cookie maker I know (hi, Jen!) waits 3 hours. And her cookies are perfection. If adding detail piping in a dark color on top of a light color (like the beer mugs or the white hearts below), give the flood icing at least one hour to dry before adding the detail. It's just a cookie; it doesn't have to be perfect. Great post. I recently made yellow "smiley face" graduation cookies with royal blue grad caps. Everything went smoothly until I piped the black smile on the yellow cookie and the black began to bleed. I had let the yellow icing set overnight so I knew it was dry. But I figured it out - I used way too much black gel color when mixing my icing. I'm glad you touched on that. Between your's and Callye's blogs, I learn something all the time. Thanks! Thanks! I made the "Martha" cookies-- and after 24 hours (pre-planning this was an amazing accomplishment for me) the flood icing was STILL tacky. Any hints? The edge dried... Is Atlanta just too humid for cookies in the summer? I love the baking part but really hesitate on the decoration part. These tips definitely would make it easier. Beautiful cookies even with the bleeding. this was so helpful, thanks! 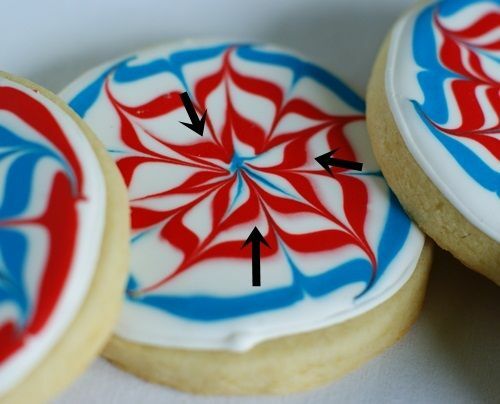 The red, white and blue cookies are so colorful and beautiful...little delicious, artistic sweetness as well! 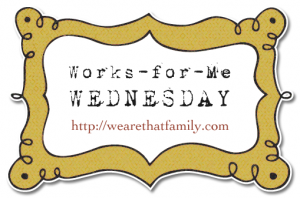 I have to say I love your works for me Wednesday series. All your tips are so detailed and so handy. Thanks for sharing your tips on bleeding. 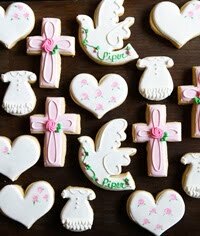 I've yet to try decorated cookies, but I've filed away all of your tips for when I do. I'm so glad no one is hurt. With that title I was afraid someone had an accident. Thankfully it's just a cookie. What I'd do with all the ones that bled? Eat em before anyone else saw. I totally thought that someone had a boo boo! *snort* I'm not awake yet, still drinking my first cup of coffee...which by the way would be a perfect match for one of those yummy bleeding cookies! 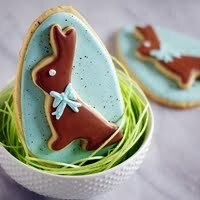 The cookies look so good...you are a professional food stylist I guess! Loved your tips, the blog and your photography!! Do visit mine if you love Asian (especially Indian) food. Shall come back again very soon! I can always count on you for the best tips on cookie decorating. Thank goodness you've got it all figured out, b/c I sure don't! 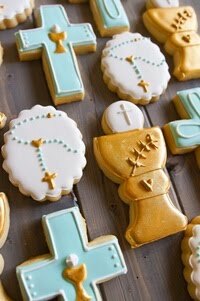 Oh my...will I ever be have this patience to frost and decorate my cookies like this :( These are certainly masterpieces. Thanks for the tips. I agree, most people won't notice the little "mistakes". Ha! Love the most important tip. :) You are a rock star as always! This is fabulous. I would have never thought to figure this out and just lived with the bleeding! 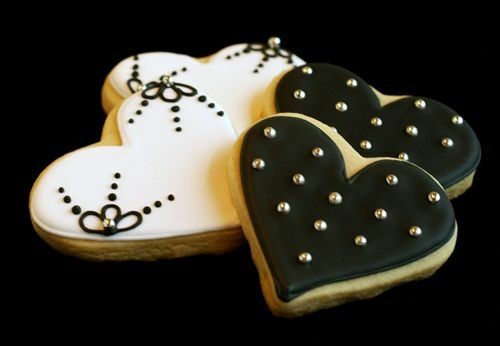 OMG those white heart cookies are GORGEOUS, B!! Love. 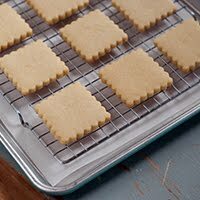 And I have had my cookies bleed more times than I care to count :( Thanks for the tips!! You're the Cookie Queen. I agree with Kimberly...eating the evidence is the best. But you are also right...it's easy to get hung up on our craft...most of our recipiants won't notice. Thanks for the wonderful tips. I'm so glad you do what you do...teaching us and helping us. It's great!!! Such a helpful post, Bridget, truly. Thanks for sharing! I can't wait to use this tip, I had never thought about the relationship between bleeding and the amount of coloring. Great tips!! I always get stressed out about bleeding, too. But, I definitely agree that the better quality gel colors are much safer to use than the readily-available-in-the-craft-store-brand (not naming names!). 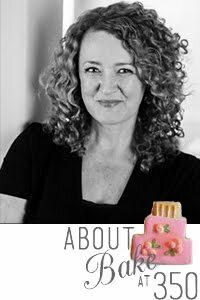 Love reading your tips and seeing your gorgeous cookie masterpieces!! 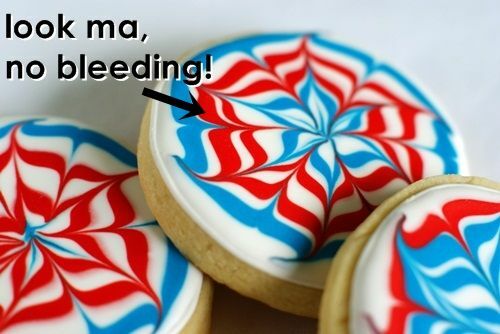 Non cookie decorators have actually asked me how I did that cool effect... the bleeding cookies, LOL! So I do think that maybe we just judge ourselves a little too harshly. 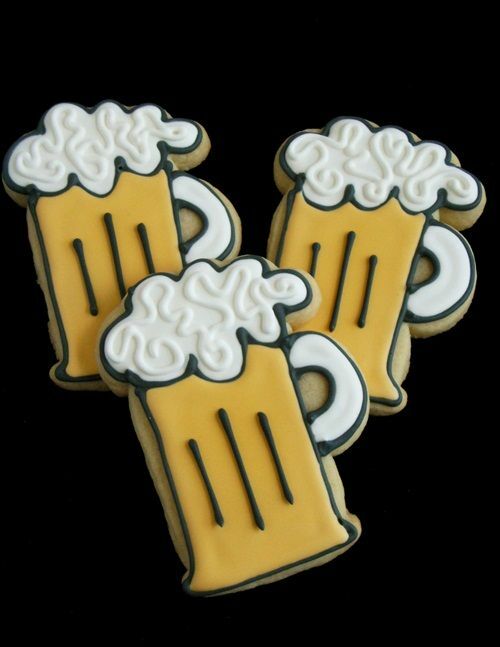 I love the beer cookies! I love the beer cookies :) I am fascinated by baking and decorating, but due to my full-time job I just don't get any time to do any of these. So I just hang out here and feast my eyes on your awesome creations :)..Thanks for sharing these..
Is there is fix for my cookies that bled over night? I made Baseball cookies and the Red from the baseball stiching and the Blue used for a "B" in the center of the cookie, bled all over the white overnight. They were cool and dry when I went to bed and woke up this morning and they are destroyed. Any saving for the 60 cookies I made last night?